introduced in Spring 1996 as the new 1997 model. Featuring a coil-spring suspension for the very first time (based on the success of the Jeep Grand Cherokee) providing better ride and handling. Featuring a return to the classic round lights for a traditional front clip look and feel, the TJ used the same workhorse 4.0L Straight 6 found in Cherokees and an inline 4 on some models. The Jeep TJ was also the first platform for the Rubicon badging, featuring Dana44 front and rear and an upgraded transfercase. 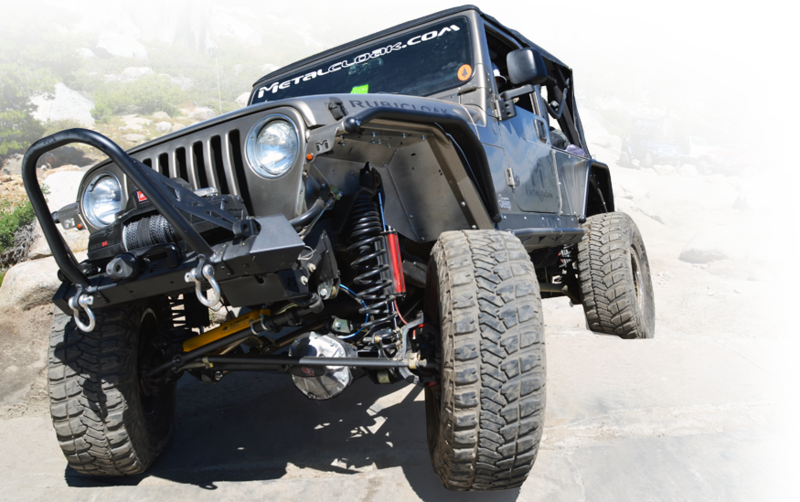 Easily updated and modified, the TJ continues to be a favorite amongst Jeep enthusiasts. In 2004, Chrysler introduced the TJ Unlimited (also known as the LJ) which featured a 10" Longer wheelbase - the LJ is coveted by Jeep enthusiasts.